Miss seeing this one at your own risk! 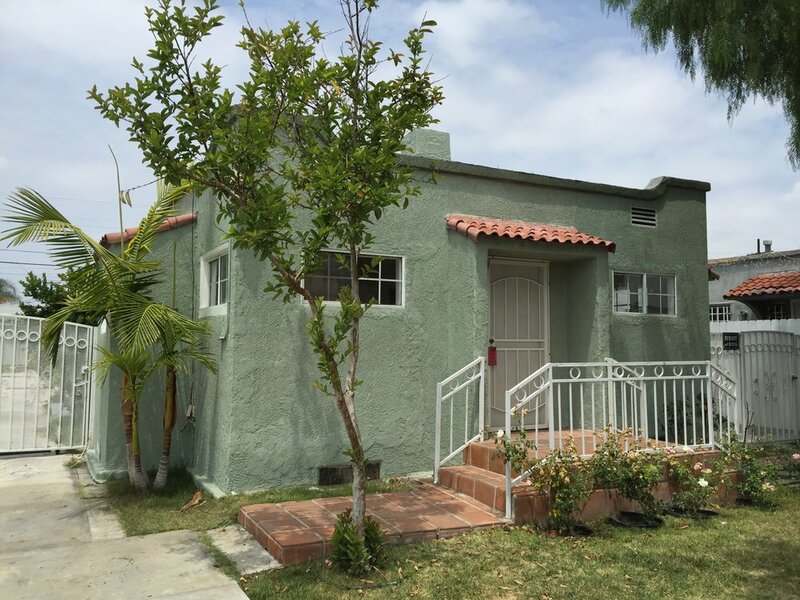 Charming 2 bed + 1 bath front house in the last affordable neighborhood in LA, on the western edge of Mid City. This home has brand-new bamboo floors, brand new bathroom, off-street parking for one big car or two little ones, & high-efficiency washer + dryer right in the unit. Hungry? It's about five minutes to the Culver City TJ's and the new food Co-Op. Don't feel like cooking? How about some Jonathan-Gold-recommended restaurants? Even the ones he hasn't reviewed are good. And if you want to stay closer to home, West Adams has the best (and coolest) pizza in town, the landmark JNJ Bar-B-Que (seriously, there's a landmark designation from the city) and some of the finest Mexican food this side of Cuernavaca. Easy access to: the beach, Miracle Mile, USC, DTLA, Fairfax, Chinatown. The head of the Ballona Creek bike path is just 1.5 miles away and the Metro is just as close!